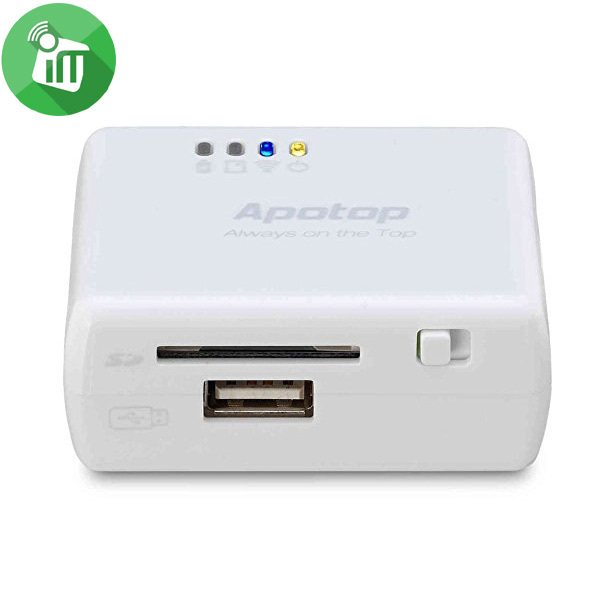 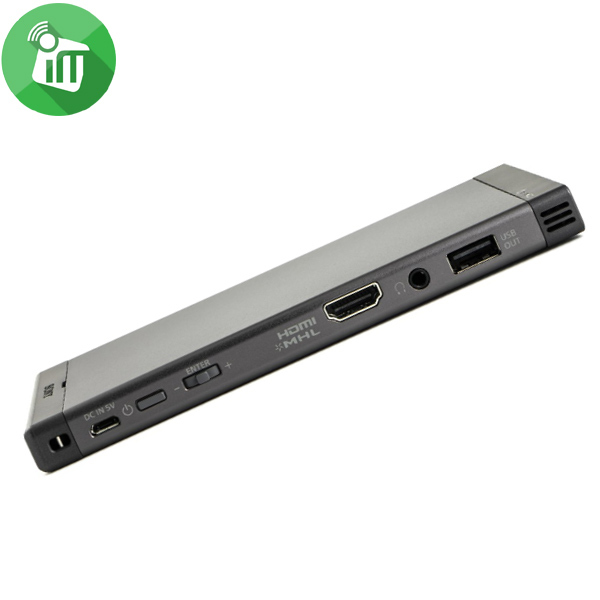 The Apotop Wi-Reader is the ideal accessory for the mobile technology user. 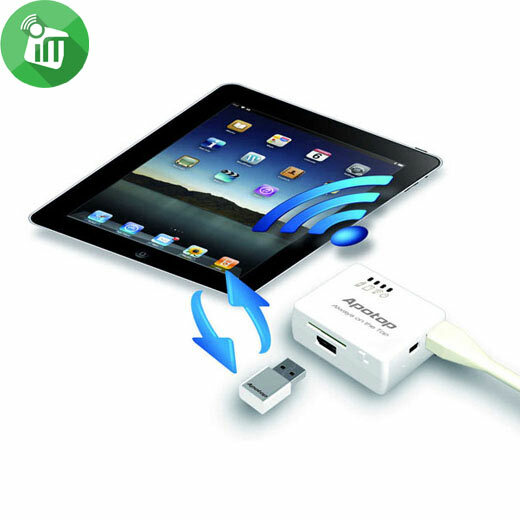 Using this one simple device as a wireless transfer hub, you can transfer files between your iOS devices and USB drives or SD cards. Use the Wi-Reader as the ultimate streaming device and you can share photos, music and HD movies to multiple iOS devices simultaneously. 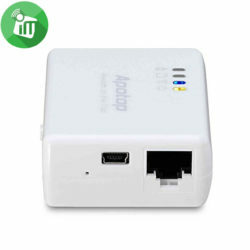 And, as a wireless router, you can create a personal wifi hotspot for your laptop, tablets, and smart phones with a wired or wireless internet connection. The Wi-Reader is definitely the all-in-one device you want in your bag whenever you are on the road! 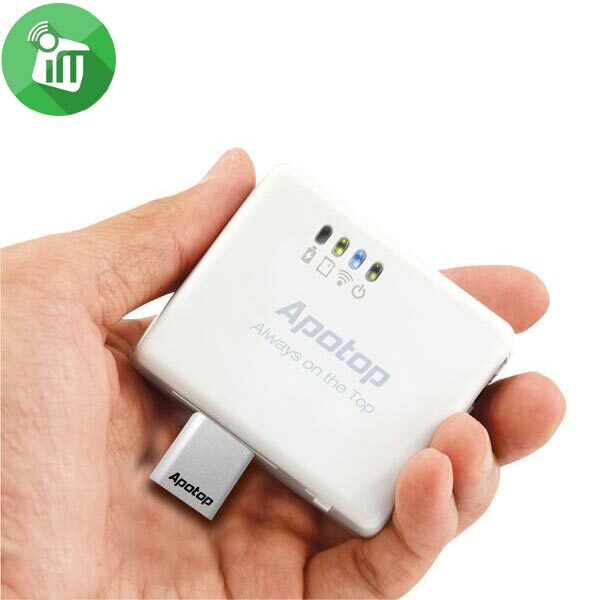 Are you running out of storage space on your iPhone, iPad, or iPod Touch? 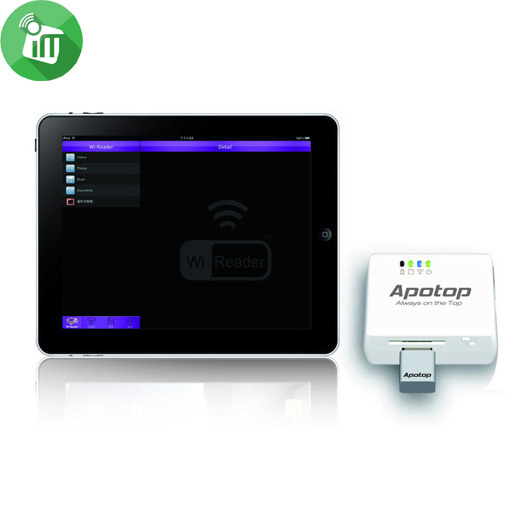 The Apotop Wi-Reader can add wireless storage to your iOS devices instantly. 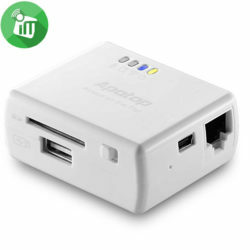 With the free App, you can store and access music, photos, movies, and files on your USB drives or SD cards wirelessly with no need for Internet connectivity. 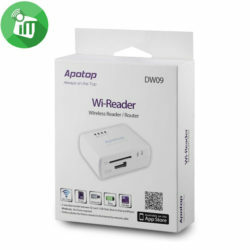 Ideal for family vacations or long car rides, the Apotop Wi-Reader lets you stream movies, photos, and music, to up to 5 iOS devices at the same time with the free Wi-Reader App. 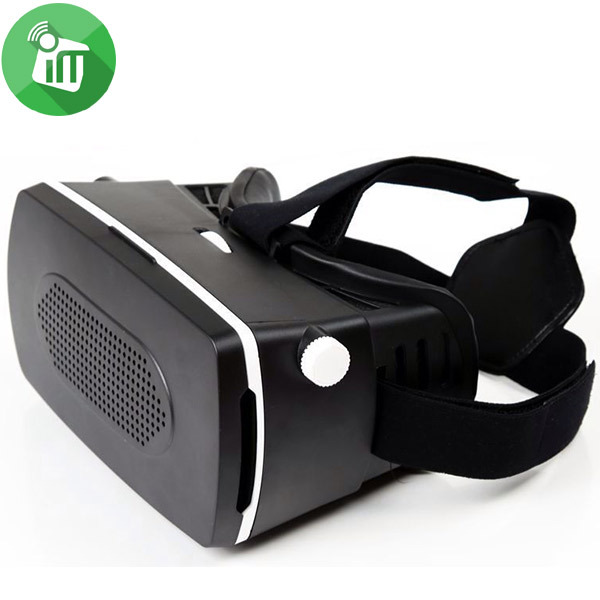 No more fights trying to see a single screen. 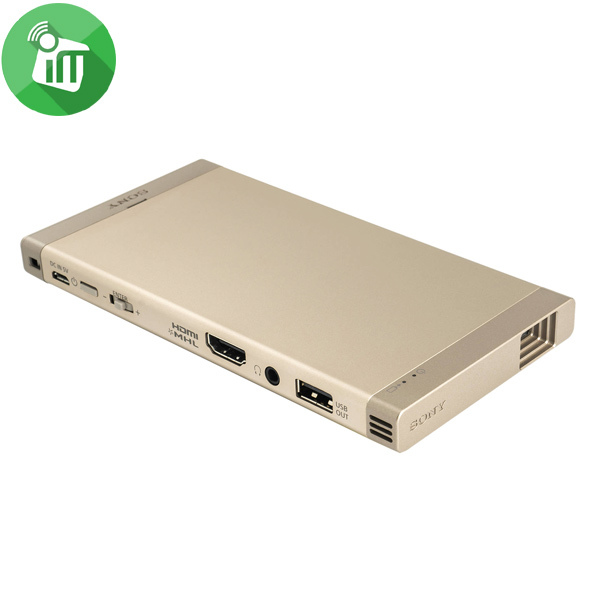 Everyone can watch it on their own device! 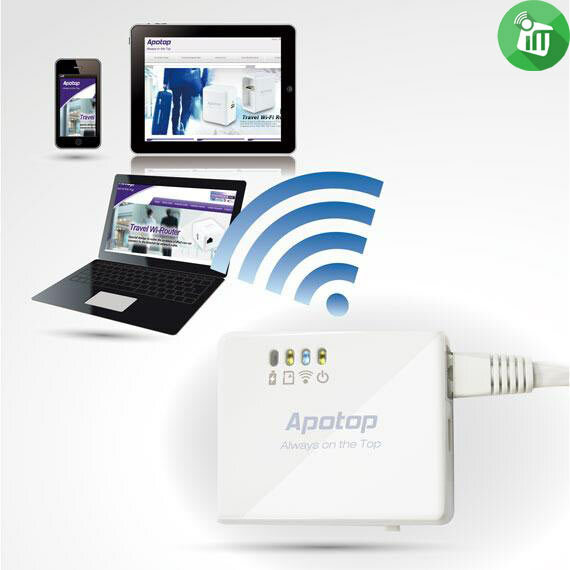 With the Apotop Wi-Reader, you can conveniently take any internet connection and share the connection wirelessly and securely with multiple devices in minutes. 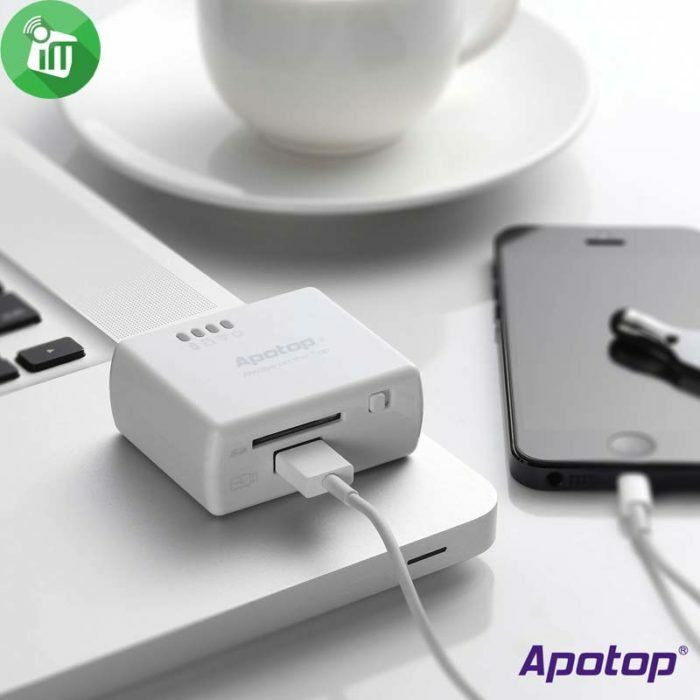 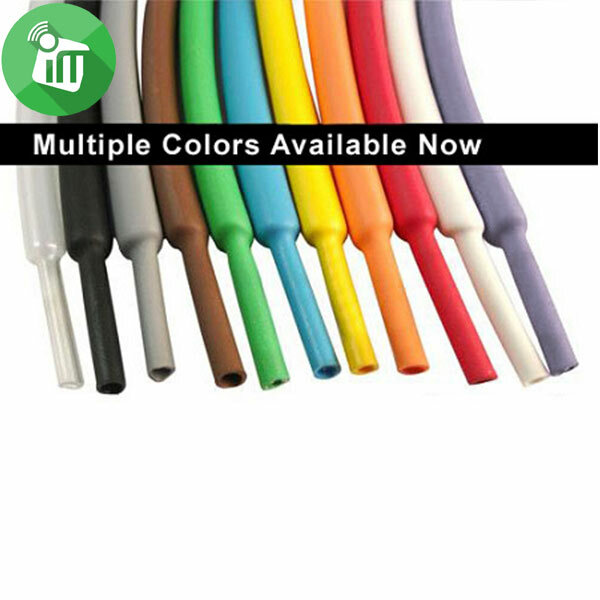 Connect your laptop, tablet or smartphone all at the same time. 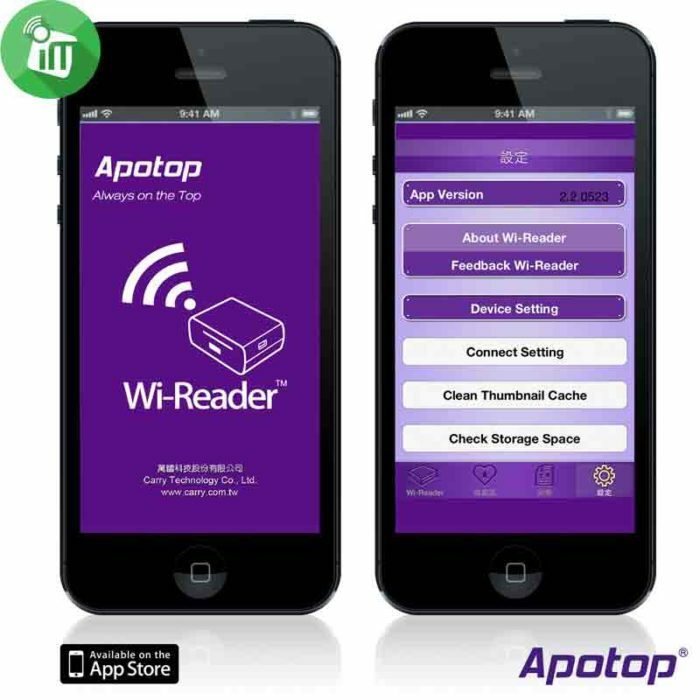 The Wi-Reader App is easy to navigate and loaded with features. 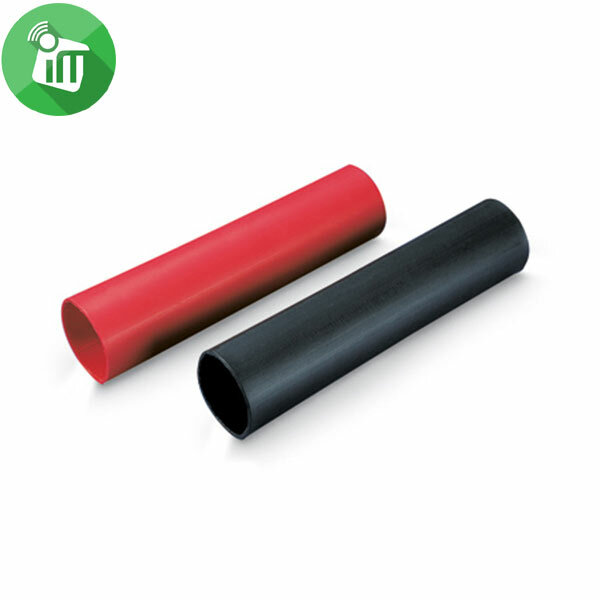 It can upload and download files between your iOS devices and USB drive or SD card. 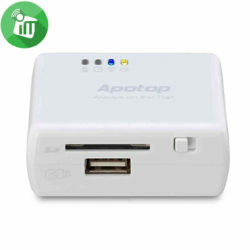 It can also playback movies, photos, music and document files in different formats on your iOS device wirelessly without an internet connection. 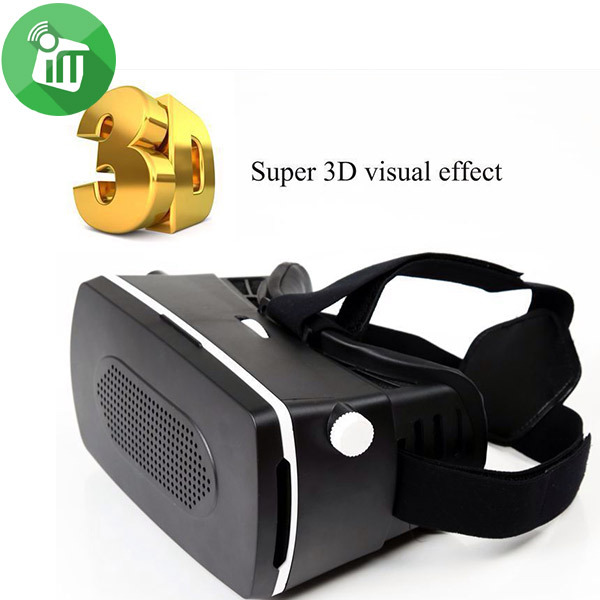 Best of all, the App is completely free.